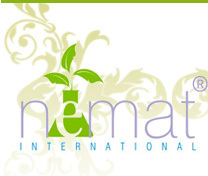 At Nemat International®, we are passionate about creating new, innovative fragrances and packaging. Our fragrances combine the traditional aspects of Indian perfumery with contemporary ideas. We work hard to develop exquisite fragrances, design new bottles and create elegant packaging solutions. We are a manufacturer and distributor of high quality perfume oils, decorative perfume bottles, Essential oils and Absolutes, Charcoal Incense and Massage oils and Lotions. We supply to distributors, manufacturers, wholesalers, and retail stores. Our packaged line of Fragrances, Essential oils, Charcoal Incense and massage oils are sold through a number of retail store chains and Spas. Our bulk fragrances are purchased by other manufacturers who use them in their own perfume blends or in cosmetic applications like lotions, creams, gels, etc. Our extensive range of decorative perfume bottles, atomizers, sprayers, perfume vials and packaging accessories are supplied to other distributors, manufacturers, wholesalers, and retail stores.If you are looking for exquisite perfume oils, perfume bottles, perfume atomizers, beautiful gift packaging and bottle accessories at great wholesale prices, you have found the right place. 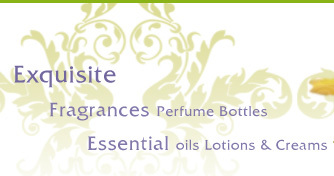 Take a few minutes to browse our selection of Perfume oils, Essential oils, Incense, and Perfume bottles. We think you’ll be pleased with our selection, easy to use shopping cart, low prices and great service.